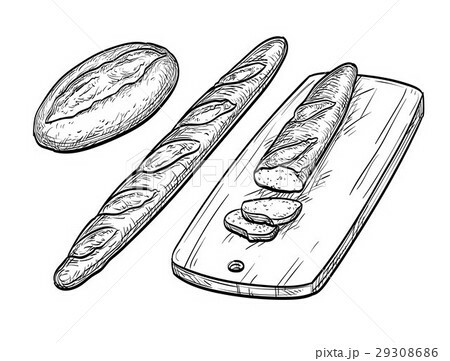 イラスト素材: Baguette and rustic bread. Baguette and rustic bread. Hand drawn vector illustration. Isolated on white background. Vintage style.